The Google Streetview car followed me on the way to the pool one day. Thankfully it didn’t actually follow me all the way to the pool. 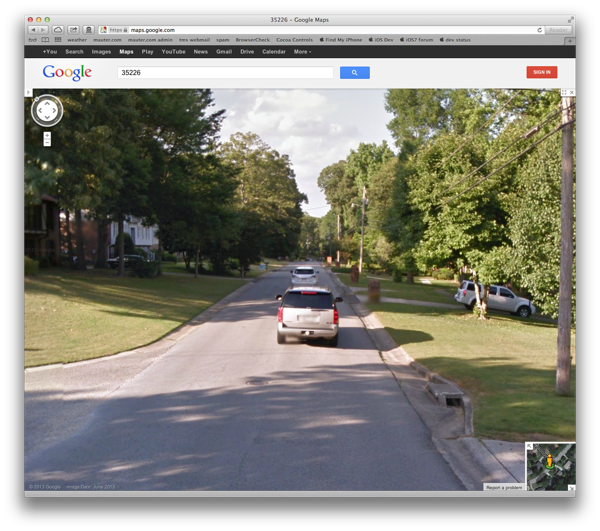 We had been seeing the Google cars all over Hoover in June. Sightings were so common that you’d hear people talking about it in the hallways at work. When I saw him on Atkins Trimm, I thought this was my lucky day.